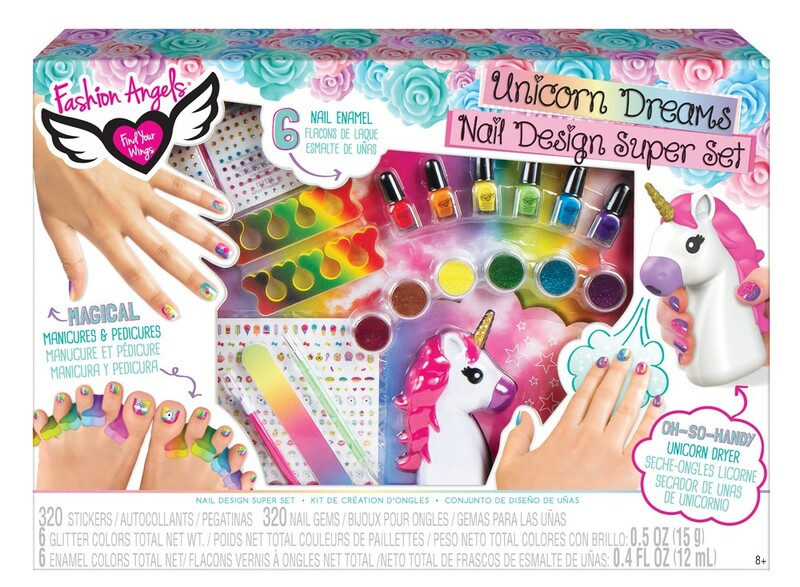 This magical kit includes a very special unicorn nail dryer and other salon tools for a completely magical experience. 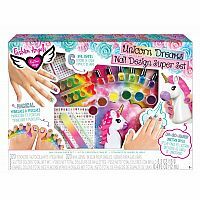 Super set comes with: Unicorn nail dryer, 6 bottles nail enamel, 6 glitter colors, 320 nail stickers, 320 nail gems, 2 toe separators, 1 cuticle pusher, 1 nail dotting tool, 1 nail file, and inspirational instructions. Recommended ages 8+.